The entrance is the business card of our home, the environment that welcomes us and our guests. 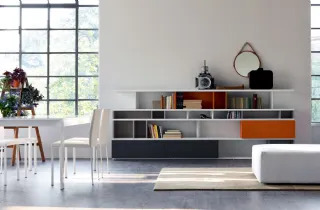 For this reason, although one often overlooked space, is instead furnished and organized to best, because it tells us and put at ease those who accogliamo. 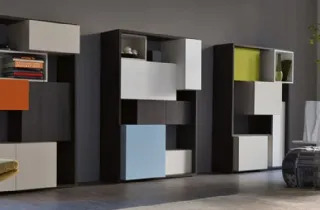 The Doimo Cityline rich collection of hall furniture is able to answer these needs with a great number of modular solutions and it can, creatively and rationally, solve the problem of the entrance hall space .How many times, while entering the house you wonder where to put keys, coins and other small objects? Thanks to the storage units and shelf elements, this can be easely organized and everything may be at your hand. Everything can find a place into the modern furniture of Doimo Cityline. The various open elements, the ones with doors and drawers are always able to meet every requirement and design. 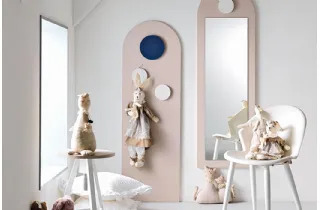 The furniture input allow to equip the most of a little-exploited but important domestic space, because this is the first environment to welcome those who enter the house. 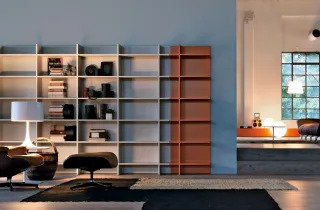 Doimo Ciytline bookshelves, with their freely combined and modular units, are an excellent solution to organize the entrance hall. The hangers are among the mobile input which can not fail to make it functional and add a touch of color to the environment considered as the calling card of our home. Proposed in different colors and trendy materials, Doimo Cityline hanger is a practical item for every home. Here is the ideal solution for furnishing modern inputs. Choose the modular programs Doimo Cityline with which to create a solution tailored to their own space ideal, mixing elements per day and closed compartments or contain the best that we wish keeping everything tidy and at hand at home. Doimo Cityline console for entry are solutions designed for containment and characterized by a strong personality with which they furnish the reception space in our homes. Compositions designed to create a practical and dynamic environment.